Thanks to all of you who posted kind messages of support for my family. We are moving in a positive direction and hope to have hubby home by the end of the week. Before I left for the hospital this morning, I toured the yard and veggie garden to see what was going on. Today, I'll discuss the sorry state of the vegetables. 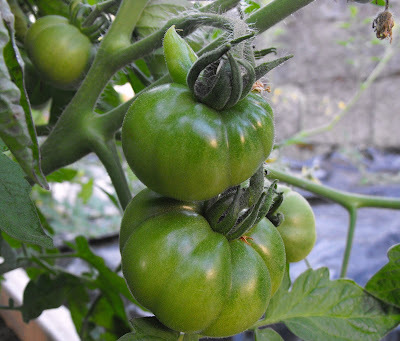 Both my Beef Steak and Sweet 100 tomato plants are very healthy and loaded with green tomatoes. We are in need of heat to ripen up these guys. The downside of having a strong coastal influence is that we have a marine layer in the morning, which is very nice for us humans, but it reduces the duration of warmth for growing things. Happy Dance, one red Sweet 100 cherry tomato! I see that I have six small zucchini growing. So many lost to blossom rot already this year. I'll be thrilled to have these guys make it. They are approx 5 inches in length. Not much success with the Howden pumpkins. I fear the spot I have them in is too shady. I get blooms, but they have fallen off. I see damage to the leaves. I know there have been nasty slugs lurking. I put out worry free slug bait around the boxes where I see the trails coming from. But again, still not enough sunshine for them and with our cool summer, the likelihood of a pumpkin is slim. 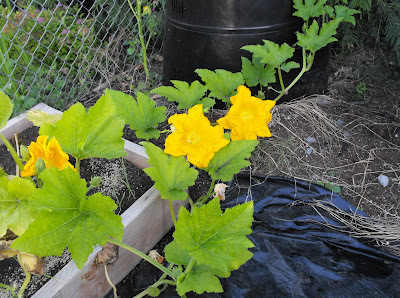 Now, the Baby Bear mini pumpkins are doing pretty well. I have no idea how big they get, the name just sounded cute so I bought the plant. They appear to be producing lots of blooms. They have also suffered from the attack of the slugs, but despite it all, I have something growing! Regarding my attempts at peppers, well, let's just say it's been a bummer year for anything requiring heat/sunshine. I do have some flowers on both varieties. Here is all that I have to show for the peppers thus far. Much like the peppers and squash, my cucumbers are really pathetic. But, I have a bloom. Good Grief, what a year for growing things. My cucumbers are more pathetic than yours! Looks like your tomatoes are more or less at the same stage as mine. None of the big ones are ripe yet, only the cherries. My first chilli has gone red now, so we're making progress. Patience is a necessary attribute for the gardener I think! Glad to hear your hubby will be home this weekend. May he regain his health quickly. 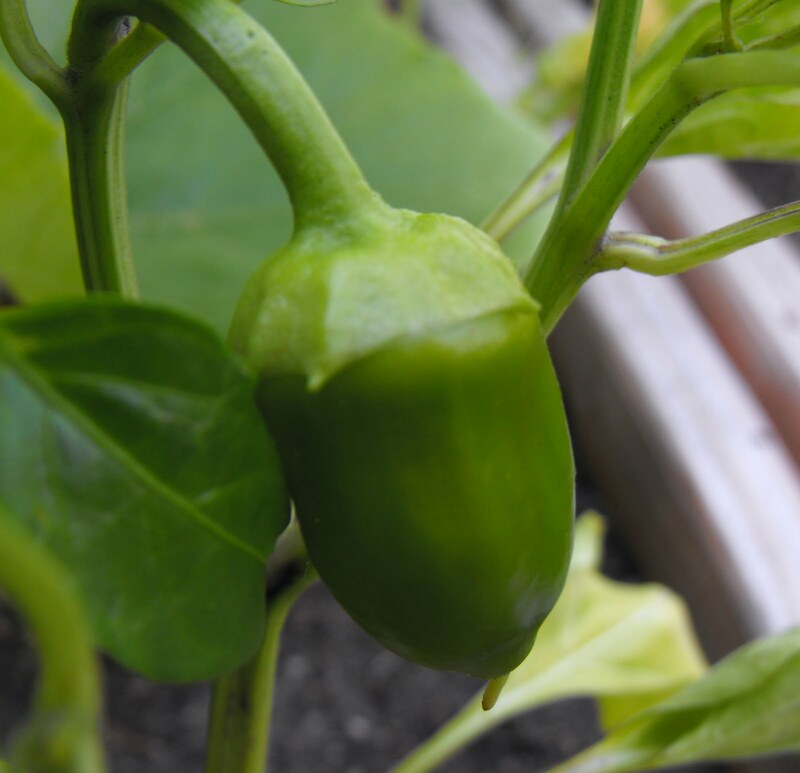 Glad you are getting a little produce from your veggie garden. 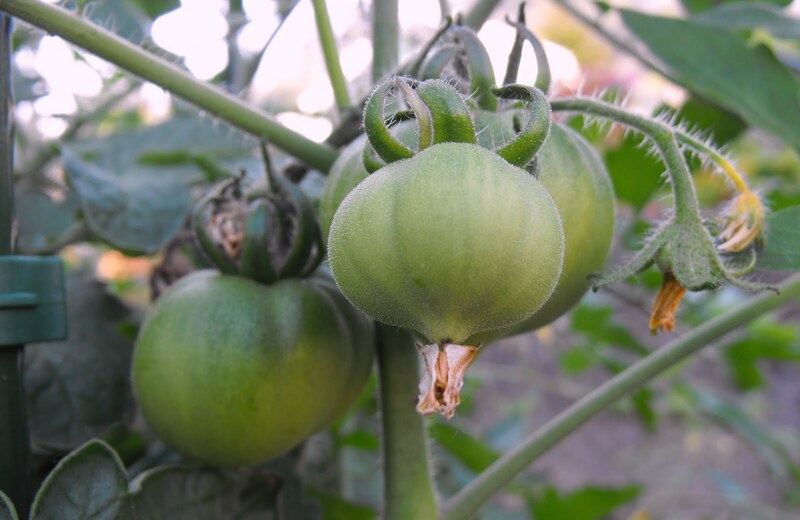 Hope you get some heat for the 'maters to turn red. That's great to hear, Jenni. Your vegetables are looking great. Now, let's get them to turn up the heat and bit and everything will be fine! 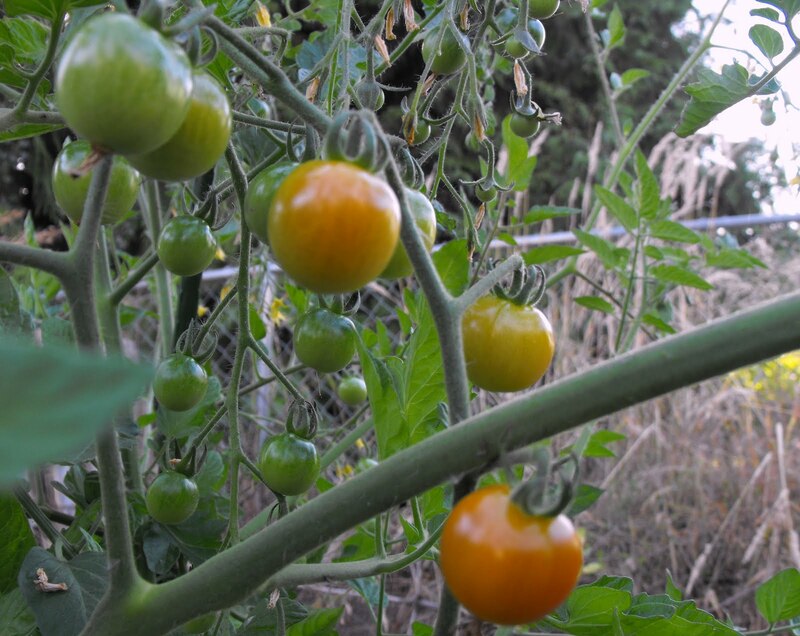 It is so exciting to see the fruits of our labor produce, and yours look great. 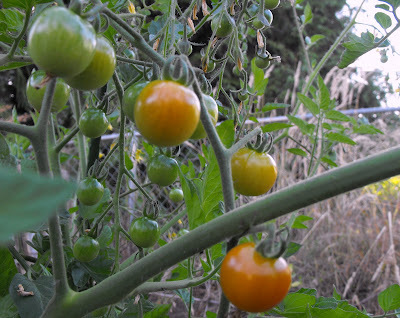 I was thrilled today to see 2 ripe sungold tomatoes. They didn't make it into the house though, so shhh, don't tell anyone. I thought I was the only one with a disappointing vegetable garden. Your tomatoes look way better than mine. 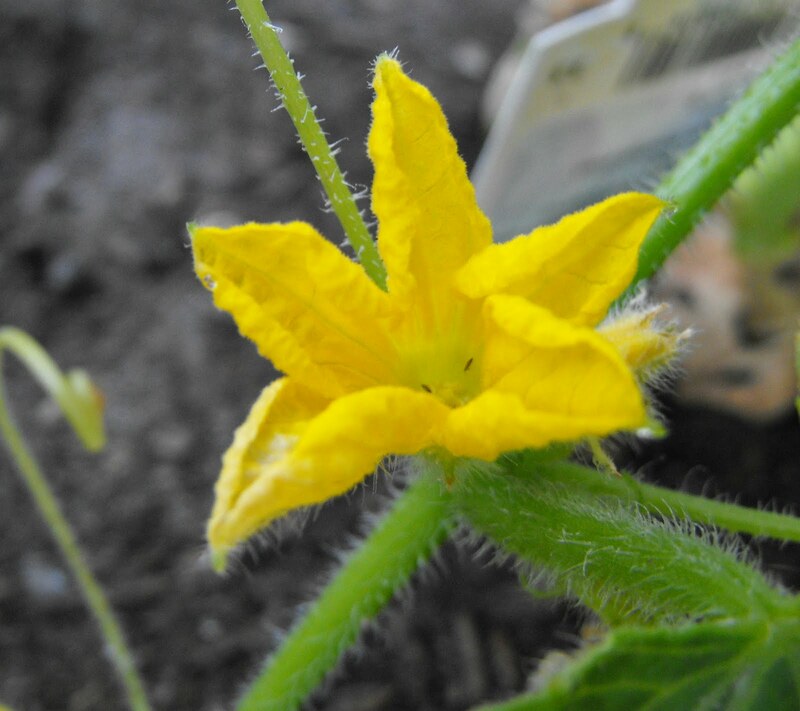 Lots of blooms but very little fruiting--on anything! I'm so glad your hubby is doing better. Please tell him your cyber garden buddies are thinking of him. 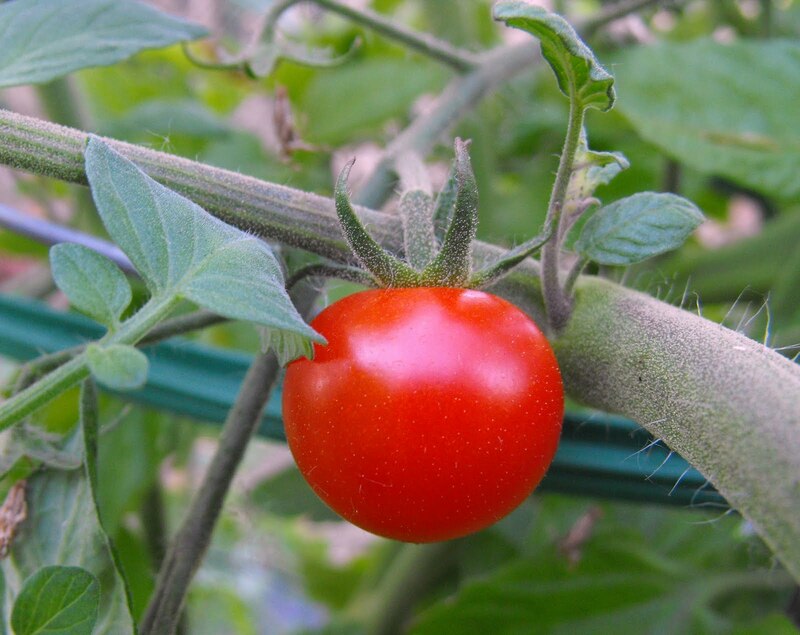 Your cherry tomato looks delish. 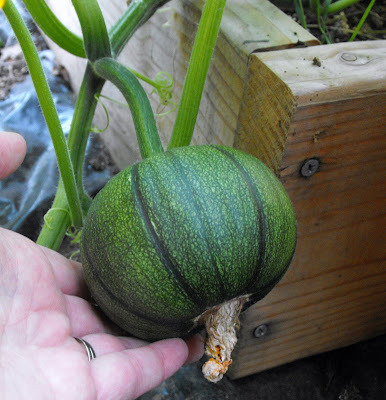 I'm getting one or two ripening now also. 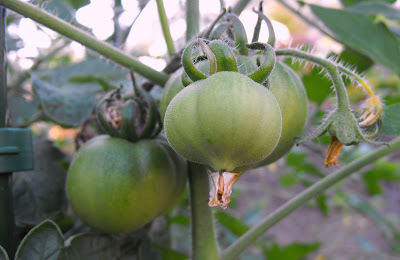 Hopefully our summer will last well into fall to give things a chance to really mature and ripen. I'm just back from vacation and am upset to hear your husband is in the hospital. I'm sure it was a scare. I so hope he is better. My thoughts are with you. I want to thank you for this post. My husband gave me the greenhouse with one little string. He wanted pumpkins. I looked hard this morning and I saw zuchini and what I thought had to be squash. I was pretty worried I wasn't going fill his expectations. I was so happy to see that your pumpkin looks very much like my unidentified plant. There is hope. Thank you. I am keeping your family in my thoughts. What good looking veges! 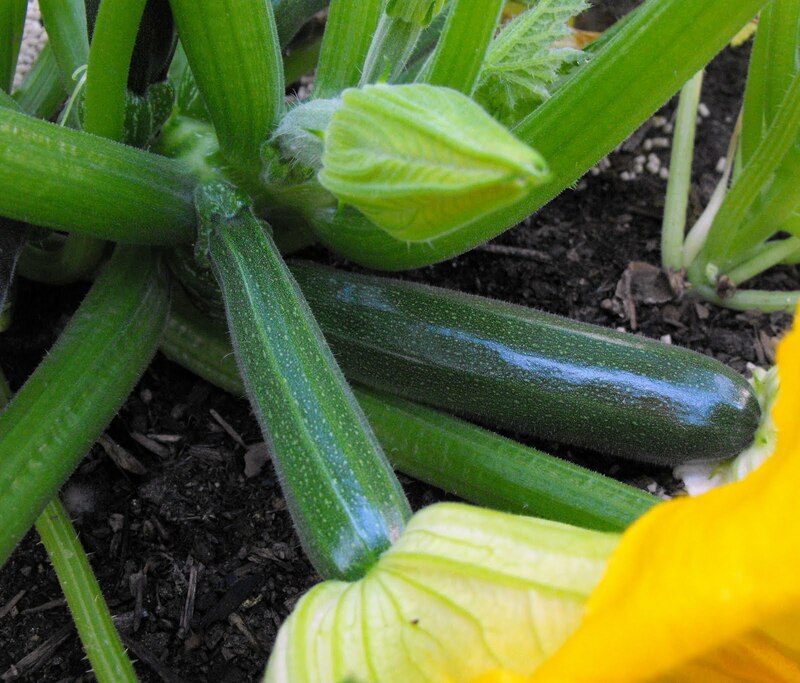 Your zucchinis are absolute beauties. And all those tomatoes when they ripen will be a sight to behold. Glad things are looking up personally and I'm sure everything in your garden will too.